One manager and two coaches are assigned to each team. Individuals interested in coaching must successfully complete a background check annually before they will be allowed to manage or coach a team. All manager and coaching appointments expire annually and there is no senority or tenure when being considered for a manager or coaching position. Pocket Little League is affiliated with the national Little League organization, and follows all rules and regulations set forward by that body. Managers and coaches will each receive a copy of the official Little League rule book and must use it to teach the children proper league rules and play. 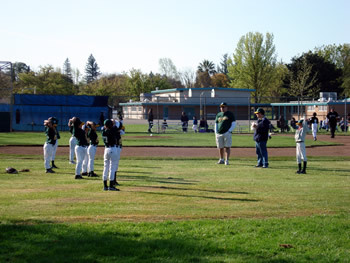 Managers and coaches are expected to treat all players with respect and to observe the rules of conduct set forth by Little League. They should set a good example for their players, other managers and coaches, and the spectators.